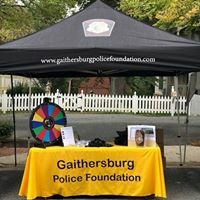 Gaithersburg Police Foundation – The GPF strives to be a valuable adjunct to the police department’s core missions of public safety and community outreach to the city of Gaithersburg, MD. 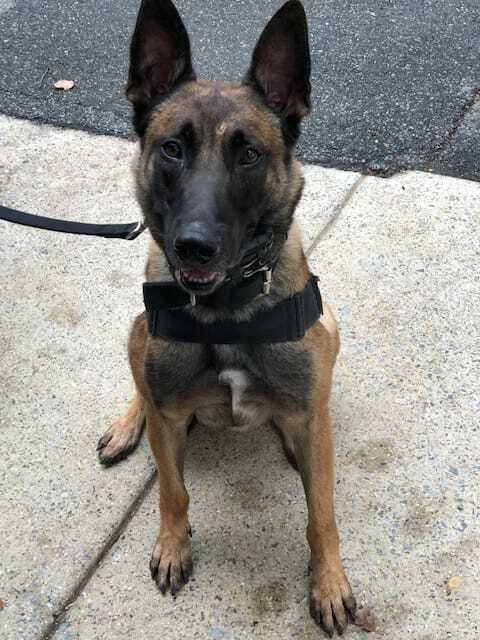 In the past, the Gaithersburg Police Foundation has raised funds to outfit Canine Officer Joey with a bullet -proof vest! The Foundation was happy to once again support the annual Chief's Pistol Competition. Eleven officers participated in the 7th Annual Chief’s Pistol Competition on August 16 at the Frederick City Range. Each year, we participate in the City of Gaithersburg's Annual "Oktoberfest" with many giveaways, raffle prizes, and more as we spread awareness about our mission. The mission of the Gaithersburg Police Foundation is to raise support and awareness for the Gaithersburg Police Department. 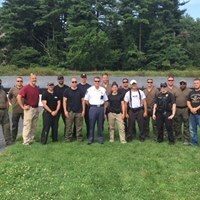 The GPF seeks to promote public safety by supporting and providing resources for the professional development of Gaithersburg Police Department employees. The Foundation works with the community to solicit and disburse funds to assist in enhancing the safety of Gaithersburg, Maryland. Help us serve those who serve and donate today! Come on down to @habitburger in Gaithersburg on 5/29, 10:30a - 10pm. 20% of sales will be donated to the Gaithersburg Police Foundation, which supports the @GPDNews. Our officers & families helped benefit @SpOlympicsMD as part of the @PlungeMD.